There is something so comforting and luxurious about taking a bath. You really have to take time out for a bath, to prepare it, and then linger and soak in it. Taking a bath is one of those things I do for myself and think “Wow, I really deserve this.” I truly enjoy the ritual of taking a bath. It’s such a simple thing, but really it’s so much more. 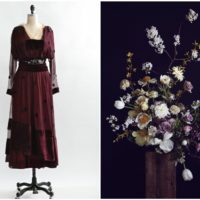 When I lived in a small 1920s studio apartment in L.A. I took weekly baths, sometimes multiple times a week. A true poor man’s luxury if you ask me. 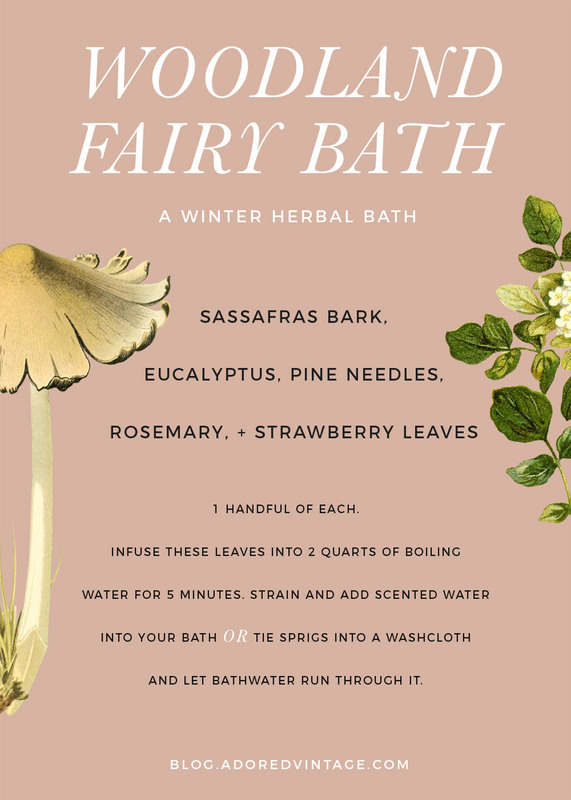 Baths don’t have to be expensive, you don’t have to spend a lot of money getting bath bombs and oils… in fact, I found a great herbal bath recipe from an old issue of Victoria magazine that sounded so delightful, that I had to share it with you guys! You can get dried herbs online at Mountain Rose Herbs or better yet, see if there is a local shop that carries these herbs. Sassafras root and strawberry leaves may be harder to find, so get those online. 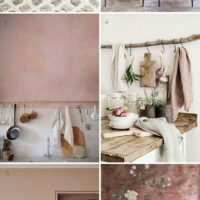 I think you could wrap all these items in a cheesecloth, tie it with twine, boil it for 2-3 minutes…then add the water AND the herbal bath bundle into your bath. Doesn’t this just sound so lovely? For a Fairy Woodland Bath I think “May It Be” by Enya would be a wonderful song to start letting your mind wander and relax and then listen to “The Grace of Undómiel” (another song from Lord of the Rings that connects with Arwen’s story line). If you have a Spotify account, you can find both of these songs on there to add to your playlist! 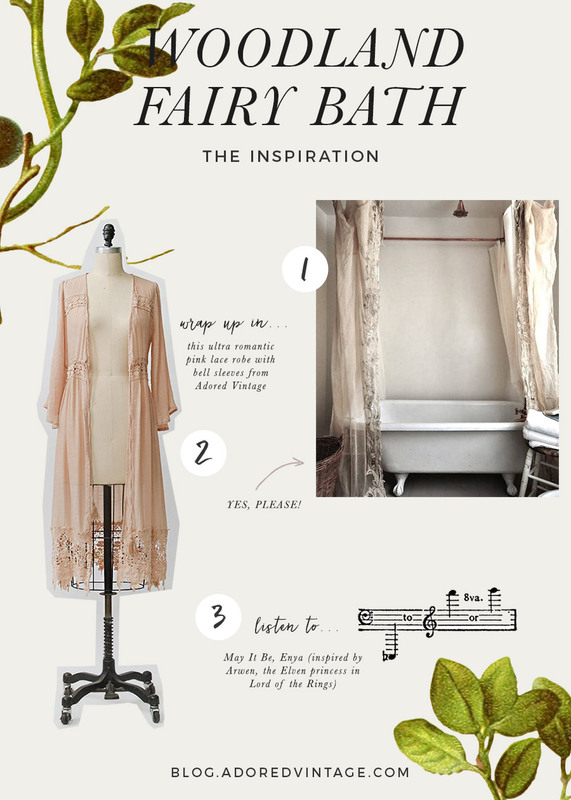 And when you’re all done with your bath, why not wrap up in this ultra feminine and romantic vintage inspired robe from Adored Vintage? 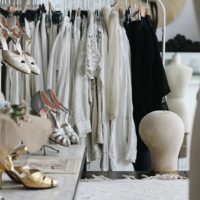 It features bell sleeves, lace details, and a drawstring waist. Very Elven if you ask me! *** disclaimer *** I read Sassafras Root should not be used for pregnant women. Please do your research on each of these herbs and plant properties before trying this bath recipe out especially if you have allergies to anything!